Thomas Built Buses, Inc., commonly designated Thomas, is an American bus manufacturer headquartered in High Point, North Carolina, USA and a subsidiary of Daimler Trucks North America, the parent company of Freightliner. 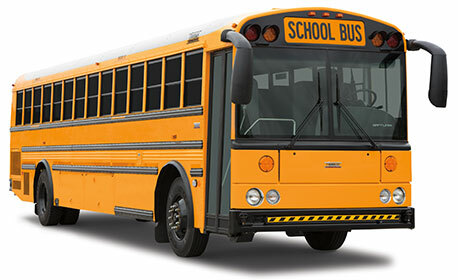 Thomas produces school buses, activity buses/MFSAB (Multi-Function School Activity Buses), and commercial buses; both small and full-size buses are produced. Thomas traces its roots to 1916, when it was incorporated as the Perley A. Thomas Car Works in High Point, North Carolina. The company specialized in the manufacture of electric streetcars; as buses superseded them in the middle of the 20th century, Thomas switched to bus production (primarily school buses). By the 1970s, Thomas Car Works had become one of the dominant school bus manufacturers in North America. In 1972, the company reorganized, adopting its current name, Thomas Built Buses.